Will it finally dawn on the American political establishment that the US and Russia are in this fight together? Last week, on November 5, The Wall Street Journal reported that the CIA will be stepping up its illegal war in Syria by increasing the number of weapons it is providing to the so-called Syrian moderate opposition, putting the lie to President Obama’s pledge not to lead the United States into a proxy war with Russia. If a hearing held by the House Foreign Affairs Committee last Wednesday morning on “Russia’s Escalation in Syria” is any indication, the president should expect little to no opposition to the CIA’s action. The committee heard testimony from two assistant secretaries of state, Victoria Nuland, under whose purview Russia falls, and Anne Patterson, who has the unhappy responsibility for overseeing American policy in North Africa and the Middle East. The first thing that needs to be said about the hearing is that it highlighted the remarkable dexterity of the American war party, that bipartisan coalition of congressional war hawks that—to borrow a line from the British statesman John Morley—changes its aim, but never changes it stand. 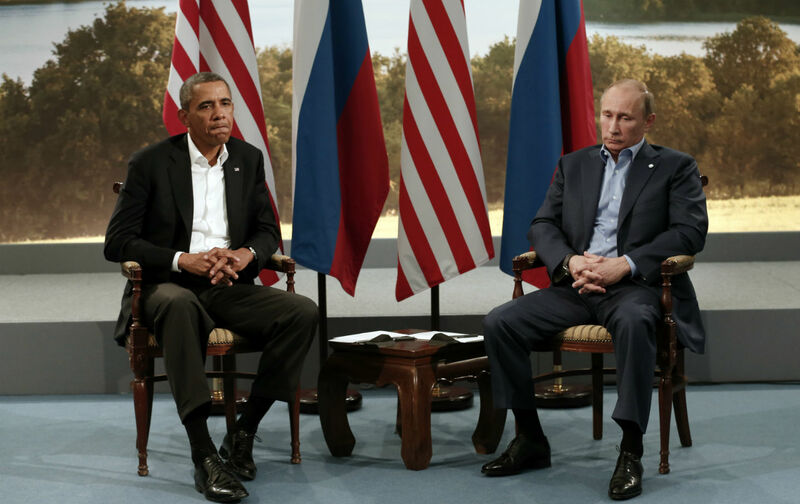 The war party’s stand, or goal, is to forever ruin US-Russian relations. But rather than being preoccupied by Russia’s much-decried invasion of Ukraine, it is now focused on Russia’s “escalation” over Syria. Nuland’s assertion, supported by neither evidence nor chronology, was eagerly taken up by several members of the committee. Congressman Ami Bera claimed that Russia’s involvement in the Syrian civil war is “exacerbating” the situation and is the primary cause of the refugee crisis. Bera seemed particularly exercised that the refugee crisis may be taking a toll on Turkey. Bera might do well to take some time to think things through a bit. The reason Syrian refugees are flooding into Turkey (and from there, Europe) is because for years Turkey has been aiding efforts to overthrow the Assad regime. Congressman Gerry Connelly demanded to know if Russia will “cease and desist” its excursions into Turkish airspace. Connolly’s time might have been better spent asking whether Turkey will cease and desist aiding ISIS. Alone among his colleagues, Congressman Dana Rohrabacher spoke of his frustration over the hostility with which the United States continually treats Russia, especially considering the solicitous nature with which we treat the Sunni Gulf-state tyrannies. Further, Rohrabacher pointed out that countries like Saudi Arabia are ruled by cliques of extremists who are “no better than Assad.” Indeed, the war party policy of antagonizing Russia has caused a great deal of great harm, according to Rohrabacher our rejection of a deal proffered by Putin regarding Syria five years ago has come at the cost of hundreds of thousands of lives and millions of displaced persons. If Nuland’s testimony was bad, Patterson’s was worse. With a straight face, Patterson told Representative. Ileana Ros-Lehtinen that ISIS and Assad “are linked.” Could she possibly believe this? It would certainly come as a news to Assad, among others. Basically, Patterson picked up where Nuland left off, noting, quite incorrectly, that “85–90 percent of the [Russian] strikes are aimed at non-ISIS opposition.” About the mythical “moderate” Syrian opposition, Patterson was asked if we are “in coalition building” with al-Nusra? Patterson conceded that it is possible that some of our “moderate” opposition forces “were forced to join” them. Sure. Guess who wasn’t having any of it? Dana Rohrabacher. If we succeed in overthrowing Assad, Rohrabacher asked, why shouldn’t we expect Syria to become a failed state, as Libya has become in the wake of NATO’s disastrous 2011 intervention? Patterson assured Rohrabacher that this was most unlikely, since there is a “broad consensus” that Syria’s governing institutions would survive Assad, whereas no such governing institutions existed in Libya. This—it must be said—is a curious claim: Is Patterson suggesting that the Libyan government, which in 2003 negotiated with the American and British governments to end its WMD program, didn’t actually exist? Overall, there seemed to be no recognition that Russia’s “escalation” in Syria might be helping in the fight against ISIS. It seems our own government’s obsession with ousting Assad, not the Russian airstrikes, is the real problem. The picture the witnesses painted before the House Foreign Affairs Committee was as duplicitous as it was simplistic. And this is nothing new. From the earliest days of the Cold War, policymakers have abided by Dean Acheson’s dictum to present their arguments in a way that is “clearer than truth.” For nearly 70 years it has been an article of faith within the Beltway that the American people don’t “do” nuance, and so the only alternative left is to, well, lie to them. “Clearer than truth” is so deeply embedded in Washington’s genetic code that what results are congressional hearings in which highly intelligent, capable, and dedicated civil servants like Victoria Nuland and Anne Patterson find themselves uttering the most extraordinary balderdash. At the Conyers hearing there was no hint of the Manichaeism of the new cold warriors. Professor Cohen, Professor Ellen Mickiewicz, Ambassador Jack Matlock, and former Procter and Gamble CEO John Pepper urged Congress to eschew a deeply prejudicial approach to Russian relations, such as took place that very morning before the House Foreign Affairs Committee. If so, might it finally dawn on the American political establishment that perhaps the United States and Russia are in this fight together?